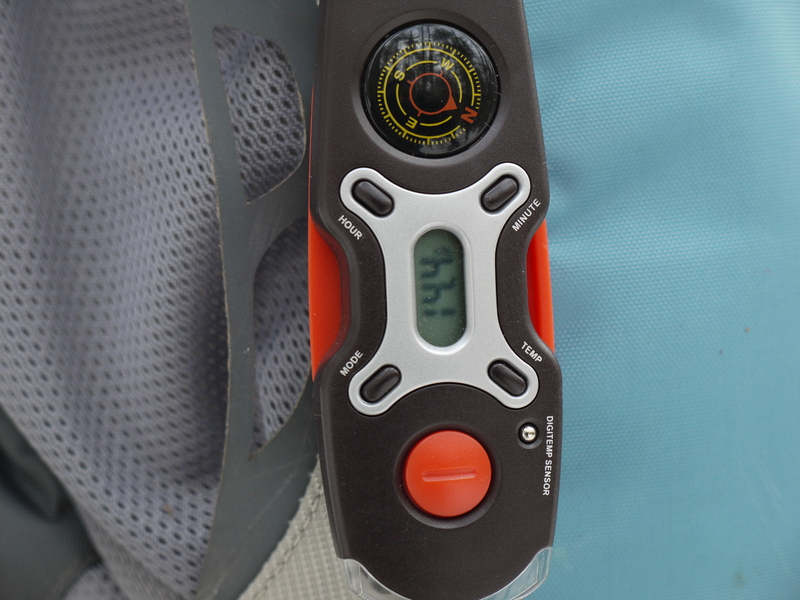 This is just a fun little gadget to have hanging off your pack. I love knowing the temperature at a quick glance. the comfort of having a whistle handy is great and it includes a magnifying glass with a mirror. I realize the mirror is for safety sake…but a little vanity on the trail doesn’t hurt. I am disappointed with the LED light. I was hoping for a strong light to be able to look into crooks and crevices of trees and rocky outhangs. When I was venturing in the Leatherman Cave (see post on 2/17/10) and had a minor freak out about potential creatures hiding in there, the light source wasn’t powerful enough to calm my nerves. 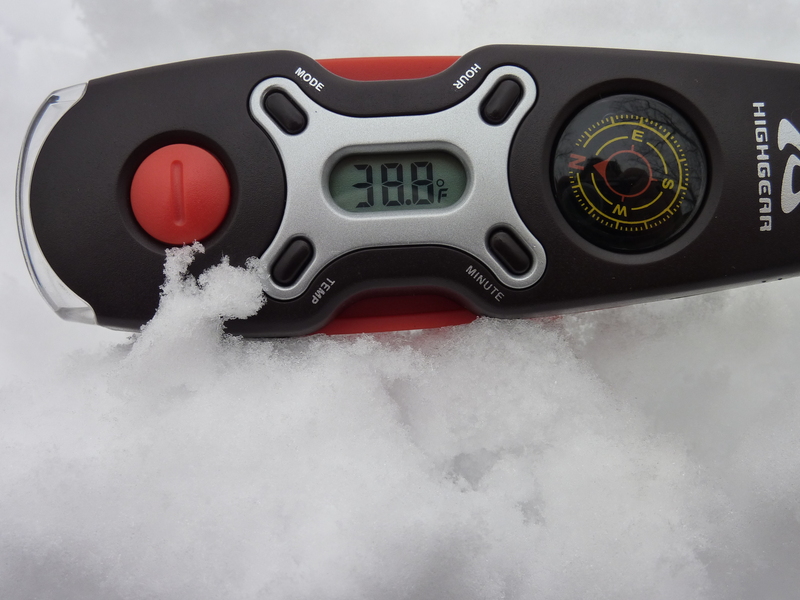 The compass is a nice, low tech gadget, but I depend on my husband’s GPS to tell us direction. I realize at some point I should learn navigation skills and this might provide a useful feature of the tool. I hang this off of my backpack, but it flops too much around to keep a consistent and true temperature reading. I need to find a better way of securing it and a zipcord to pull it closer to my lips, in case I need the whistle. At this point, in order to use the whistle, light, magnifying class I have to unclip it. I am happy with it and think it would make a fun gift for a person who loves gadgets at a low-cost.